The best way to explain GK skinnypasta™ is pasta without the guilt. 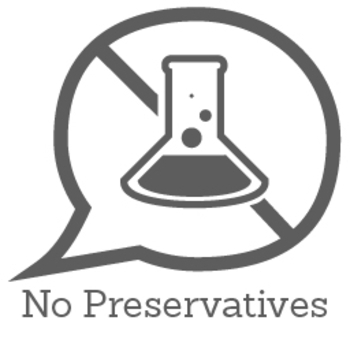 Gabriella’s Kitchen creates kinds of pasta packed with good-for-you ingredients like protein, fiber, vitamins and superfoods – with none of the stuff you don’t want (hey GMOs, additives, and preservatives). The best part for busy families on the go: the fresh pasta cook in less than 2 minutes, even from frozen, and the prepared frozen entrees are ready to go in just 4-5 minutes. 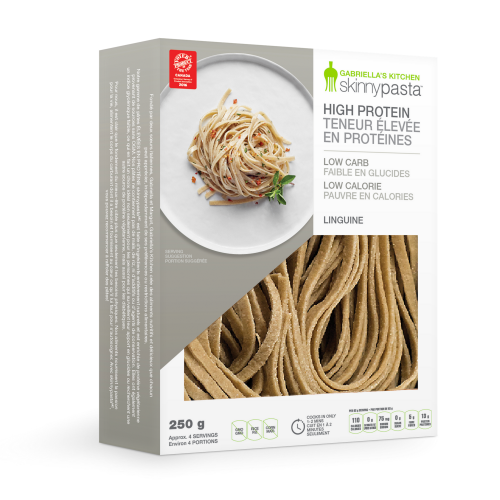 skinnypasta™ HIGH PROTEIN Linguine (250g): A fresh pasta that offers one-third of the calories (110 calories), one fifth of the carbs (10 grams), three times the protein (13 grams) and more than twice the fibre (5 grams) of traditional pasta. It’s also tasty as it is nutritious! 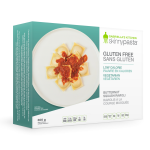 skinnypasta™ GLUTEN FREE Butternut Squash Ravioli (300g): Made with arrowroot flour and high-quality ingredients, this prepared vegetarian meal is gluten-free but has the taste and texture of authentic Italian pasta! With just 240 calories per single-serve entree, it also offers protein, fibre, vitamins A and C, calcium, iron and more. Warm it up in your oven or microwave in mere minutes and dig in! 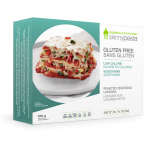 skinnypasta™ GLUTEN FREE Roasted Vegetable Lasagna (300 g): Each lasagna is handmade with veggies that are roasted in-house with love. This quick-to-heat meal is a vegetarian, cheesy delight that will satisfy your pasta craving while delivering quality nutrition in every bite. skinnypasta™ HIGH PROTEIN Linguine: Water, durum semolina, soy protein isolate, wheat flour, pea fiber, egg white, pea protein. Contains egg, soy & wheat. 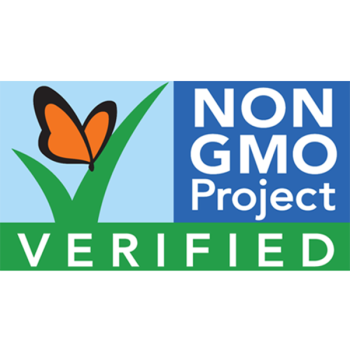 skinnypasta™ GLUTEN FREE Butternut Squash Ravioli: Crushed tomatoes (tomatoes, water, salt, citric acid), water, butternut squash, egg, tapioca starch, arrowroot flour, onion, carrots, potato starch, olive oil, xanthan gum, salt, garlic, black pepper. Contains egg. skinnypasta™ GLUTEN FREE Vegetable Lasagna: Crushed tomatoes (tomatoes, water, salt, citric acid), water, mozzarella cheese (part skim milk, bacterial culture, salt, calcium chloride, microbial enzyme), egg, onion, zucchini squash, tapioca starch, arrowroot flour, green bell pepper, red bell pepper, eggplant, potato starch, parmesan cheese, canola oil, xanthan gum, olive oil, carrots, salt, garlic, black pepper, spices. Contains egg & milk. Take halved and pitted avocados and lightly brush with olive oil. Cook on BBQ or on the oven rack at medium heat, face down and with the peel still on. Remove avocados once they are nicely charred and softened. Set aside to cool until you are able to pick them up without burning your fingers. In a strong blender or food processor, add lemon and lime juice, cilantro, salt, cayenne pepper and one minced garlic clove. Add the cooled avocados, scooped out of their peels with a spoon. Puree the mixture while slowly drizzling in olive oil. Add more salt and lemon/lime juice to taste. The mixture should be thick. Meanwhile, in small sauce pan over medium heat, sauté the red onion and the other minced clove of garlic with a small amount of olive oil. Once the onion and garlic are soft, mix in black beans and leave on low heat to simmer. While the mixture simmers, bring water to a boil in a pot and add 250g skinnypasta HIGH PROTEIN Linguine to boiling water, gently stir pasta to separate and test for doneness after one minute, strain. Next, add the avocado sauce to the linguine in the pot by small spoonful’s, gently tossing with the pasta, coating each pasta strand. While tossing, add in the fresh basil and parsley leaves, with an extra pinch of salt and pepper. Serve with a large spoonful of the beans and onions placed on top, with extra cilantro and lemon and lime wedges for those who want an extra citrus kick. Ole! I Love that there is low calorie, protein packed pasta out there! It helps when trying to eat healthy! Fantastic with a classic tomato sauce loaded with meat and veggies to balance it all out! I've actually waited a long time for the Low Calorie Pasta voucher, but haven't received it. If I could have tried it, I would definitely give a review earlier. I had quite a lot of difficulty finding this product. 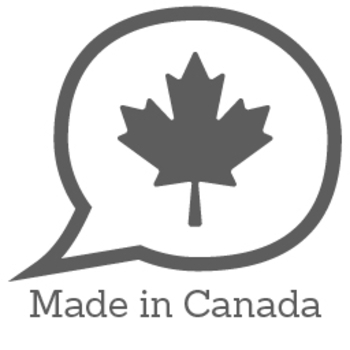 I couldn't find in save on foods, walmart, whole foods, superstore, for quite a long time. However I would say the pasta itself is better than normal pasta! 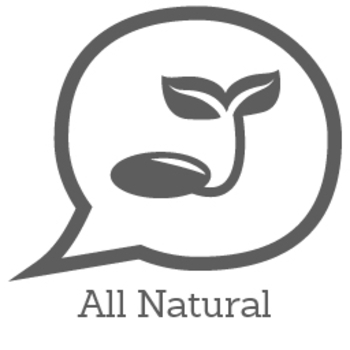 My mom says this brand's gluten free pasta, is the best brand she ever had. I had difficulties finding it at my local grocery store but once I found it, it was very easy to prepare! It tasted just like the pasta that I typically eat but gluten-free and lower in calories. Perfect for those who love pasta but are looking for a lower-calorie option.